Daniela ‘Soulux’ Pruzan, PT, DPT adopts a wholehearted and holistic approach to health and wellbeing. Beginning at a young age with a love for dance and recreational activities that included skiing, biking, and tennis, she developed a fascination with the body. As a teen she began to experience persistent pain and embarked on a healing path, exploring the connections between physical and emotional pain. 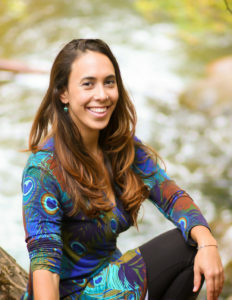 She has been a practitioner of the healing arts since 2008, with a special focus in CranioSacral Therapy, fascial release techniques, integrative trauma resolution and a more recent training in Visceral Manipulation. In 2014 she graduated from Emory University School of Medicine as a Doctor of Physical Therapy with an emphasis in Manual therapy and Neuro-Rehabilitation. While passionate about education, she believes in the value of attuning to the innate wisdom the body holds for healing. Recognizing that each person is different, she takes time to listen and provide holistic evaluation. Her approach uses gentle touch, keen assessment skills, and a palpable presence rooted in compassion. Daniela believes in the importance of balance, and that humor and fun is also good medicine. In her free time she enjoys travel adventures, dancing, live music, painting and artistic creations, as well as exploring nature. 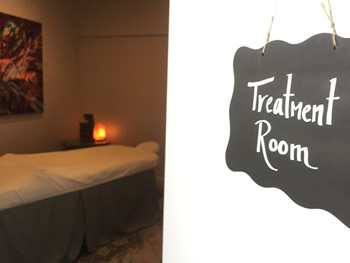 In addition to working for Revival Float & Wellness, Daniela sees private clients at Soul Lux PT; she also practices at Spring Hill Physical Therapy as well as Sierra Nevada Hospital. CST is a holistic approach where the practitioner “listens through the hands” to the body’s subtle rhythms and identifies any areas of congestion in the cerebrospinal fluid (CSF); CSF supports, protects, and helps regulate the central nervous system. This manual treatment approach uses light touch to assess and mobilize the cranial bones, meninges (tissue layers which surround the brain and spinal cord), fascia, and spinal segments in order to improve the flow of CSF. 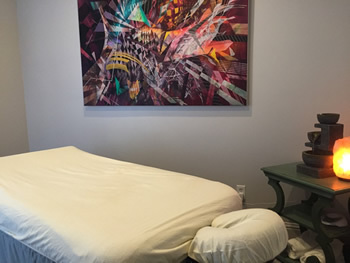 Daniela works with CST’s perspective that each body intuitively knows what it needs to heal, and she offers support to facilitate the body’s natural healing processes. Part of her treatment philosophy is teaching clients to tune into their own internal compass by listening to and honoring these signals. This practice is about cultivating awareness and inviting a return to the wisdom of your body. Daniela specializes in injury rehabilitation as well as re-training movement patterns to allow for more ease of mobility. Her treatment approach is centered in manual therapy, which includes releasing myofascial restrictions, using spine and joint mobilization, as well as re-educating the neuro-muscular system with somatic awareness practices to emphasize pain-free movement. Part of her treatment philosophy is teaching clients to listen mindfully to their bodies; meaning ‘pause with pain, and go with ease’.